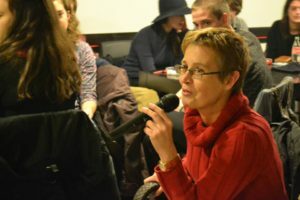 These thoughts were brought together for the 2016 edition of May Day School, Ljubljana, entitled Religion and Capitalism. Back then, we were following the campaign for the US presidency, before the public acknowledgment of the possibility of Donald Trump’s victory, but after the resignation related to Bernie Sanders’ loss in the Democratic primaries. Fracturing entered the political agenda in every scale of life. Social, political, hydraulic fracturing as the logic of consumerism depends on dividing people, depriving them of self-confidence, serving targets to put the blame on. Different governmental and religious institutions – reliant upon the ‘benevolence’ of corporations, of course – joined the discourse of discrimination, exclusion and ignorance about the real ecological condition of our planet. It’s not for the first time, we could say, especially from an East European point of view, that the church has served an accomplice of dictatorial power. New are only the ’collateral damages’ of these hate-discourses which cannot be stopped by the shallow sentimentalism fueled by the entertainment sector of our societies. Sentimentalism only makes people weaker, more self-indulgent and more easily conned (and left aside by the progressive leftists firm as a rock). So I try in this essay to contextualize in present time three, seemingly soft, but in fact stone-hard Judeo-Christian concepts that can empower people to resist hate speech (1) and to remind the contemporary mainstream light religious thought its repressed tradition (2). Moishe Postone criticized Nietzsche and his followers for their focusing on the contingency of history. They did so, he argues, because they were aware of the fact that the idea of logic to history really signifies a form of heteronomy. In order to save the possibility of agency, however, they denied the kind of real constrains on agency that the logic of capital actually represents. They declare it non-existent. As a result, the workings of capital are obscured. In the name of empowering people, then, it disempowers them because it obfuscates the logic of capital. What Marx does, with his concept of capital is to make history, in the sense of the unfolding of a historical logic, historically specific. Because it is historically specific, it has a beginning and it might have an end. The consensus of today considers rationality the short-termed rationality and the overconsumption a necessity. The most elementary logic seems to be eerie, dubious particularity, exodus from the so-called ‘normal’ society. But what kind of absurd rationality can be that one which selects only a few easy aspects among the consequences of a certain phenomenon, according to her thoroughly simplified emotions (i.e. his cowardice). What kind of absurd materialism is that one which renounces the joys of life, disinterested coming together for the sake of commodities. This ascetic materialism and simpleton rationality could be funny, and so, liberating, but they are not, they are denunciatory, oppressive and bloated instead. They claim being without alternatives. One of their representative formations is infotainment, that admits unscrupulously to have in mind nothing else than to be amusing, distracting when reports about the sufferance of our fellow-creatures. Infotainment chases mankind toward such a condition in which bare life has no value at all not only in extreme situations, not only for gangsters and war criminals, but this would be the most trivial cliché shared between two distant acquaintances on a bus in an ordinary Tuesday afternoon. Accepting this verdict of the ruling power, interiorizing the worthlessness of human life makes us unable to change these silly precepts and we will end to admit that each revolution is a terrible utopia resulting frantic bloodshed, measureless destruction and more misery. Only that this verdict is wrong. I will interpret in the contemporary political context three Jewish-Christian concepts which, in my view, have so emancipatory function that the official religious institutions tried to hide them through centuries, or, if this was not possible, then restrict their influence, or, if this did not work either, then to speak so much about them till they lost all their significance. The novelty of Jesus’ teaching was that unlike other religions in those times, he was addressing everyone, without conditions. More precisely, as teaching in itself has two restrictive conditions: place and linguistic competence, we could say that he performed on streets, public squares or in the home of randomly chosen people. Performances are accessible for everybody; one has not to speak Aramaic to understand what is at stake when somebody turns up the money-changers’ table or is speaking in public with a prostitute. It is easily grasped the significance of the action in which somebody is sharing among the multitude the five breads and two fishes of a child so that everyone is fulfilled and more, there are some food left. The universalism of the Enlightenment was criticized rightly stating that it overgeneralized the particular conditions of the white, middleclass, European male, and this overgeneralization concluded in violent assimilations and self-contradictory conception of universalism, from which ‘universe’ some people and all nonhuman living beings are excluded. The leftover is for the not-expected, it is accessible for everyone, even for those, who did not come yet. The logic of capitalism works quite in the opposite direction his mantra being “there’s no such thing as a free lunch”. Indeed, capitalism reaps all the corners of the field, gathers every piece of the harvest, the employees has to spend even their free time with team buildings, business parties, home works etc. Capitalism is exhausting. It is telling how it is handling the refugee-crisis: people fleeing from wars and extreme poverty are presented by conservative, Christian, wealthy European media in a way that enforces on their spectators the emotions of fear, suspicion, stigmatization and selfishness. By these emotions the dear electors think that they are dependent upon the military strength of their government, and they do not wish to know more about the world and social justice any more, that is to say, they do not want a good life any more, but they indulge themselves with protection, individual safety, commodities on promotional price, ordered on internet and put down on their doorstep without being in the risky situation to encounter somebody. It’s not a question if this attitude has something to do with the so called European Christian values. Alain Badiou saw apostle Paul as the founder of universalism who has created the theory of such a subject who – as Nietzsche disgustedly but correctly said – revolted against every privilege. What is at stake is the truth that cannot be appropriated by any particular collectivity. Today we could say: instead of the market’s abstract homogenization the universal, not exchangeable, free subject has to be created. Indeed, Jesus spoke about the universal singularity of a free subject on the terms of the market: “you are worth more than many sparrows.” Sparrows were cheap in those days, they would give you two sparrows for a penny, but – and here comes the language-shift – the Father cares each one of them. (The sparrows are cared; he says nothing about the amount of the pennies). Sparrow and money are incommensurable and, in addition, the leftover-principle comes: he does not specify the changing rate between humans and sparrows. He only says, not reaping his harvest wholly, you are worth more than many sparrows. Money represents in Badiou’s philosophy the fake universality. Money homogenizes incommensurable things and on the ground of this inevitably arbitrary homogenization it divides people creating different cages for each category. People tend to have no connections outside their clubs. For the market, people are particular consumers, sensing only that part of reality which was created especially for their category, so they are unable to change anything on this unwanted and unknown structure. The feelings of powerlessness, frustration and depression are also universal, but they are good for nothing. Those in power, possessor of capital and technology have the means to unscrupulously shift these feelings away (in most of the cases unto the poor, concerning precariat). Moishe Postone says that the contradiction of capitalism is not between capital and labor (labor being a form of capital in Marx’s analysis), but between the potential that capital generates and the inability of capital to let that potential be realized. Not one of the sparrows will fall to the ground for money, but will fall because of money. The owners of technologies do not understand and even they are not curious how their rockets work. The market chasing into particularities only uses and exhausts the inventions, than it turns them into garbage. It is not capable of transformation, it is repeating until death. Shoots again, wars again, exterminates again, and uses culture to institutionalize these repetitions with species, genres, and remakes. Badiou says that Paul’s concept of ‘sin’ could be translated to contemporary experiences as ‘automatism of repetitions’ and ‘the cult of particularities’. And, I would like to add, the cultural training them by the educational system. Mainstream Christian culture trained people to consider body as the source of sins. But Paul in his Epistle to the Romans does not speak about the platonic duality of body and soul; he speaks about flesh (σαρξ) and spirit (πνευμα). The dogma about the sinner body is a false attribution, not the body sins, but the flesh missing ideas and creativity, the subservient, repetitive flesh. The cool occidental world is sinning ignorantly pecking at distant countries and trying to grab their goods. The story of Christian Church can be told in the terms of exclusions, particularization of the universal invitation. The routine of the separation of body and soul enforces the ruling logic, an abstract system laying down different conditions to being able to receive the originally universal message. Any separation concludes in exclusion. The catholic communist Pier Paolo Pasolini was excluded – by chance, not from the church, but – from the communist party because of his homosexuality (even today the catholic church would refuse him, if he would ask for it at all, to have the same rights as everybody). Universal subject – as we read in Paul’s epistles – comes into existence in the process of fidelity to an event that has no preconditions (ethnical, gender, prestige or other preconditions); cannot be described by any rule as it is subjective; it is not a momentarily enlightenment but it is a process; and it is not a mere opinion, but an assumed truth. Badiou calls the resurrection, the basic event of Paul’s life a fairy tale, than he succeeds to find to it some reasonable meaning: resurrection according to Badiou is overcoming the automatism of repetitions, the cult of particularities and the everyday obligations of the human animal. Resurrection is emancipatory in the sense that it opposes power structure and economical system mediatized to be as inevitable as the laws of physics. Resurrection is a new beginning, is a logout from the depressive routine. If someone has an idea resulting change in the exhausting process of work, resurrection is happening. Resurrection in religious sense is a miracle, transcending any rationality or any human experience, in front of which people’s self-confidence has to perish. To arrive to such a conclusion one has only to deal with a restricted rationality, to omit Gödel’s law about the general qualities of every system (that either it is not complete, or it is self-contradictory, but never succeeds to be both. )The imperial power logic pretends to be complete (without any leftovers) and for this reason, it has to construct phantasies about another world. This way the subject of subaltern comes to existence and imperial power has only one thing to do: to turn to its profit the worldly hopelessness and the phantasies about the pleasures of heaven. As Eric L. Santner observes it, for Franz Rosenzweig and Walter Benjamin “the miracle is precisely the interruption of the exceptionality of sovereignty”, it breaks the unconsciously transmitted infinite chain of subordinations. Santner considers these patterns of subordination as results of the ‘signifying stress’, the fear of to be caught up in the endless work of translation and failure of which best example is The Trial by Franz Kafka. K. considers every situation as given, tries to understands well and fit them, and it does not occur to him that the situations themselves are stupid and without any meaning. Resurrection is refusing these stupid, trivial situations – I hardly can imagine a more rational act for a human animal. Kenneth Reinhard mentions that for Walter Benjamin “redemption is finally the only theological category that has real significance for politics.” Rosenzweig says that redemption enters into the world through the act of neighbor love. It is not the first step, it is quite the redemption. Santner adds that neighbor love suspends the kafkan signifying stress; it dissolves the frustrating culpabilization of the other one, or, in terms of Nietzsche, the ressentiment. Its emancipatory effect is that it unhangs from the fixation on unfair profits, it prevents the death of any intention to change on the ground that this intention could imagine and do – even if with opposite sign – only the phantasies and deeds provided by the ruling order. Everyone has neighbors; even the modern god of tourism and colonialism, Robinson Crusoe had a neighbor. Interpreting Rosenzweig, Santner says that “the human in the neighborhood of zero”, der Muselmann is the ultimate embodiment of the neighbor. She is excluded from everywhere; she stays among people as the mere absence of symbolic representation. She is outside any privileges or preferences. Accepting her suspends the logic of privileges, a rational thing to do when one tries to elaborate on equity. In The Star of Redemption Rosenzweig says that “The effect of the love of ‘neighbor’ is that ‘Anyone’ and ‘all the world’ . . . belong together. . . . whoever be momentarily my neighbor represents all the world for me in full validity”. No misunderstandings, no specters of absurdity, no fate or stupid accidental killing, on the triple crossroad everyone is Oedipus’ father, everyone entering Camus’s The Misunderstanding is the son of the mother and brother of Martha. This would mean neighbor love. It is a catastrophe, isn’t it? But the time has come to prepare ourselves for catastrophes. Moishe Postone: History and Heteronomy. Critical essays. Tokyo, UTCP, 2009. I do not propose here to change the Enlightenment’s concept of universalism for the Judeo-Christian’s one, I speak about a matter of perspective: instead of totalization an open attitude, instead of doctrine performative acts. In this respect Jesus’ inclusiveness is an example, the leftover issue in the Book of Leviticus is another, not meant to legitimize any exclusivist actions that were made in their name. Alain Badiou: Saint Paul. La fondation de l’universalisme. Presse Universitaire de France, Paris, 1997. Pier Paolo Pasolini: Plan for a film about Saint Paul. Forward by Alain Badiou. Verso, London –New York, 2014. 6. Eric L. Santner: Miracle Happens. Benjamin, Rosenzweig, Freud and the Matter of the Neighbor. In: Slavoj Zizek, Eric L. Santner, Kenneth Reinhard (eds. ): The Neighbor. 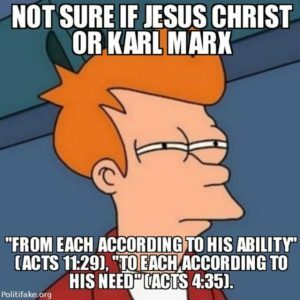 Three Inquiries in Political Theology. The University of Chicago Press, Chicago, 2005.89-90; 102. Kenneth Reinhard: Psychoanalysis and the Neighbor. In: Slavoj Zizek, Eric L. Santner, Kenneth Reinhard (eds. ): The Neighbor. Three Inquiries in Political Theology. The University of Chicago Press, Chicago, 2005. (Franz Rosenzweig: The Star of Redemption, trans. William Hallo. Notre Dame, IN: University of Notre Dame Press, 1985,236) – idézi Eric L. Santner, i.m. 109.